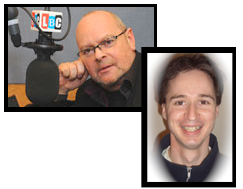 At just past 18.00 on the 5th of May 2009 I was interviewed by James Whale on LBC‘s drivetime radio show. I had been asked on to the show to talk about the UK police’s use of TASER. TASERs were being discussed following an announcement earlier that day by the Independent Police Complaints Commission (IPCC) saying TASER related complaints were to be automatically referred to them from June 2009. Normally forces would deal with complaints about use of force internally and only refer a case to the IPCC when it involves death or serious injury [or reveals command failings, or involved the exposure of the public to significant risk] the new rules will apply from June. An investigation by the IPCC last year found that the level of complaints about TASERs is low, but most were about the use of the guns directly against the body … well that’s exactly what I thought they were for? Me : Well then James what’s been happening in the build up to this is back in November 2008 the Home Secretary announced that she was going to provide 10,000 new TASERs – which is enough for all response police throughout the UK, these are non-firearms officers who are to be armed with TASERs – that’s the expansion which has occurred. We’ve had firearms officers armed with TASERs in the UK since 2003 and more recently what we’ve seen is an expansion to non-firearms officers who are being described as “specially trained units”. James Whale : Hang on a minute. You can’t use one of these things unless you’ve been trained to use it. I’ve seen them, and like any kind of piece of machinery you need to be instructed to use it. Me : Absolutely, these police officers are trained in the use of TASER, but they are not firearms officers. They are not used to dealing with violent situations, and used to making the kind of split second decisions – to shoot someone or not – that the firearms police are used to making. James Whale : OK, so what we’re talking about then Richard, what the campaign against the roll out of the TASER is – really should be – is the roll out of TASER to people who haven’t been specially trained? Me : Well, that’s right in that I’m totally in support of firearms police having access to TASER as an option. I think that every policeman who is armed with a gun ought to also have a TASER available so that he can use that less lethal option if it is appropriate for the situation. What I am opposing is this massive roll-out of 10,000 TASERs. The Home Secretary said that she wanted to see all response police in the country with TASERs, I think that would be an enormous change to the nature of policing in this country; it would make a big difference to the nature of the country itsself I think. It would create a huge barrier between the police and the public, and even between the [people] and the state. I think its something we really don’t want to see. Actually in London the Metropolitan Police Authority managed to react very quickly to the Home Secretary’s announcement back in November. They said they felt that TASERs would: “cause fear and damage public confidence”. James Whale : The problem is of course that the politicians don’t know what they’re talking about generally do they? They make one decision and then they cancel it, then they change their minds and make another decision and the police are having to run and catch up or try and second guess what they’re going to come out with next. Me : What I think we’ve seen here is the Home Secretary try and chase an easy headline with the publication of this announcement of 10,000 new TASERs and then we’ve seen local politicians – people like the Metropolitan Police Authority and Police Authorities round the country refuse to take them off her. She’s found it very difficult to get the police to accept these TASERs. She announced the deployment of 10,000 TASERs, she’s only so far been able to give 2,000 away. [That statistic came from the Private Eye, later on the day of the broadcast the Home Office published a press release saying she's managed to get the police to take 7,000 - an unbelievable figure as she'd already reduced her target to 6,000. I've asked for clarification]. James Whale : Well I think I’d better not get into a discussion about my views on the Home Secretary at this particular point I suppose. OK, do you have a, when I say an axe to grind, an issue, are the police actually – are you a policeman by the way? Me : No I’m not, no. James Whale : OK. Are the police coming to you saying we’re not happy the way the politicians are wanting us to deploy with these without the right sort of training or is this something you’re just doing off your own back? Me : It’s something I’m doing off my own back. It’s about what kind of country I want to live in. It’s about I really don’t want to live in a country where the police are armed. I think it’s one of the great things about this country that we have policing by civilians; our police are not yet an armed paramilitary force and I think that benefits us all. That makes the country easier to police – when you don’t have that kind of barrier. James Whale : You see, hang on a minute, I tend to think differently to that. I think that because so many police are armed, but not obviously, now and if you start giving TASERs to the police who haven’t been properly trained – and I agree with you about this because it’s not about whether you can actually point the thing and shoot it and be accurate it’s about the psycological mindset of a firearms officer which has to be slightly different, which has to be a lot different in fact. If all the police were trained in this way where they had to be responsible and able to use arms it might be safer. Me : It’s also about experience. When you’ve just got TASER issued to firearms officers you’ve got [them in the hands of] officers who are dealing with violent situations on a regular basis. Me : Whereas your typical response officer will not have that experience, and what we’ve seen in the trials is …. James Whale : Richard I’m agreeing with you, what I’m suggesting is perhaps all police officers should have to go through that extra training. I know that’s going to be expensive and time consuming but it would be better if all police officers did go through that training because at some stage they may be called upon and issued with a firearm. Me : I think the problem is if we have a wider deployment, if we’ve got every response officer armed with a TASER, what we’d see is these weapons being used in more situations. We’ve already seen that during the trial, we’ve seen TASERs used to break up pub brawls – now you’d never get armed police going in with their guns to break up a pub brawl. James Whale : No, no. Me : If all the response police have TASERs with them we’ll see them getting used where the force used is excessive for that situation; and that’s something which I think needs to be monitored. That’s why I think the IPCC’s announcement today is excellent because it means there will be more monitoring of how the police are using these weapons. One of the things they’ve noticed is that they’re getting a lot of complaints when the police use them in “Drive-Stun” mode which is when they don’t actually fire the barbs towards someone and electrocute them at a distance, they actually stick the prongs right on to someone’s skin and zap them that way so it seams that that particular use people are judging that as unacceptable and they’re complaining to the police about that kind of use. James Whale : I think that is unacceptable and you’re absolutely right, so basically Richard I think we’re agreeing. You don’t mind the TASERs being rolled out as long as the police who are in charge of using them are the ones who are specially trained firearms officers . Me : Absolutely. Yes. That’s excellent. And I think that might enable the police to operate using less force. These TASERs are less-lethal weapons, they are a lesser force than a firearm – they are a good thing to have in the police’s armory. I’ve spotted that signs of a good radio performance include the number of responses which are prompted and if you get quoted on the next news bulletin (with bonus points for every half hour you stay on the bulletin!). I made the news and TASER was still being discussed hours later on the next presenter’s show so I think it went well. I think the presenter got a bit stuck on the training point, but other than that it went well. I’m a big fan of LBC, I live just a few miles north of its broadcasting zone, but often tune in when I’m driving round London (on a good day you can almost get to the seaside before losing the signal). It was excellent to be asked onto the show. After my interview there were a range of contributions, a police officer explained how force polices, or even different units within the Met police had different policies on things such as the use of drive-stun. The police officer acknowledged the difference between firearms officers, the territorial support group and response officers having TASERs. Someone else called in saying they didn’t want to see the UK go down the road the USA has gone down with even security guards carrying TASER; later the many videos of law enforcement officers from the USA clearly misusing TASERs were also mentioned – highlighting exactly the kind of situation I’m trying to ensure we avoid here in the UK. Notes on my November 2008 on-air discussions about TASER on Radio Five Live and BBC Cambridgeshire are available via this link. This entry was tagged Police, Taser on May 6, 2009 by Richard Taylor. If it became assumed by the public that the police were always carrying TASERs, then that would definitely put a wall between the police and the public. At the moment, they’re just people like you and me except they wear stab vests and carry radios. Once the police start to carry weapons (or it is *assumed* that they’re carrying weapons) then people will stop making eye-contact with them. People will find an excuse to cross the road rather than walk past ‘this group of armed civilians’. They’ll have lost that ‘common touch’.